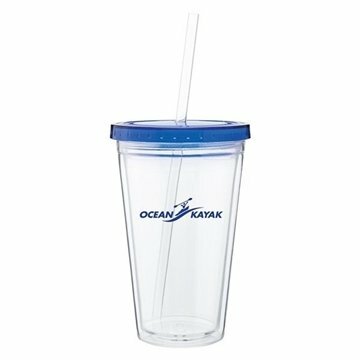 16 oz acrylic double wall tumbler with colored threaded lid and clear straw. This can be a great value for that cost! Veronica has made many excellent suggestions to help us save money and get quality products. I love the quality and the feel of the product. The conference participants were impressed with all the items we'd purchased from Anypromo. Shows the name of my company very outstanding. They're very helpful and also the parishioners love receiving them.